Winter comes together with cold, but with parties, and gatherings, and friends and family are coming as well! Among Thanksgiving, Christmas day and New Year’s Eve there are many opportunity to spend the cold days together with the people we love. 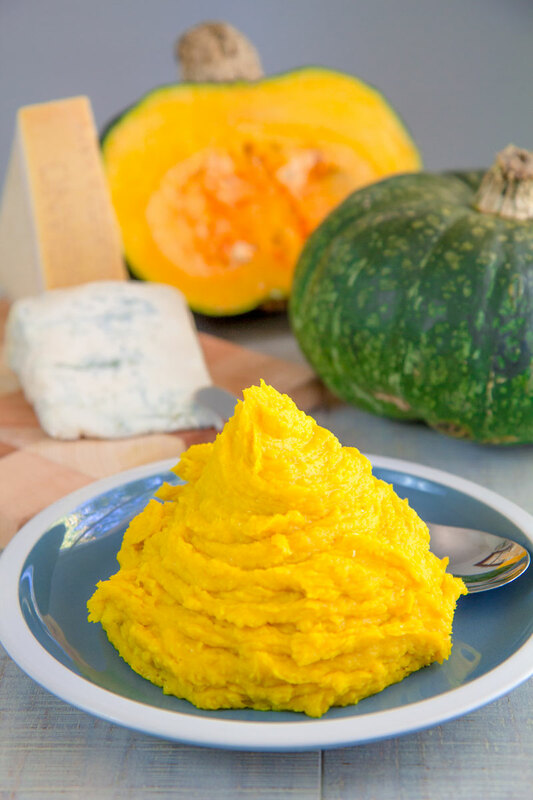 Just thinking about these moments, I made this simple and tasty butternut squash spread. 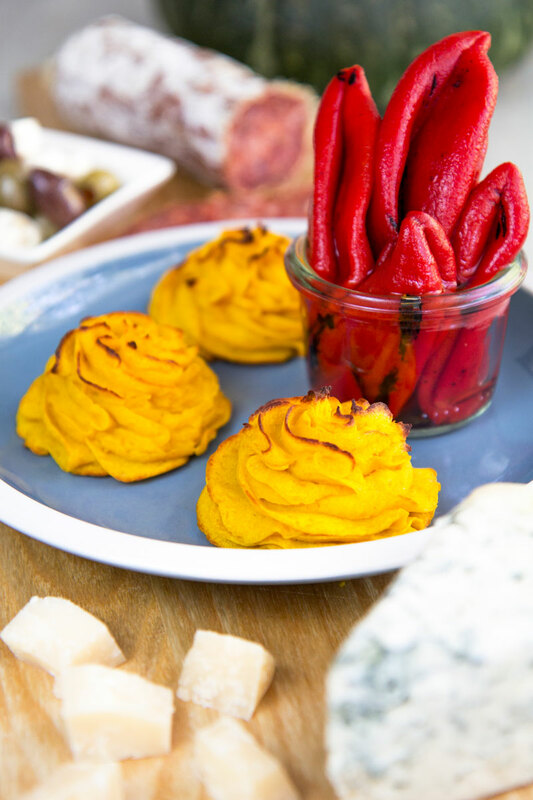 The sweet taste of butternut squash blends perfectly with the smoked paprika and sour notes of the goat cheese. 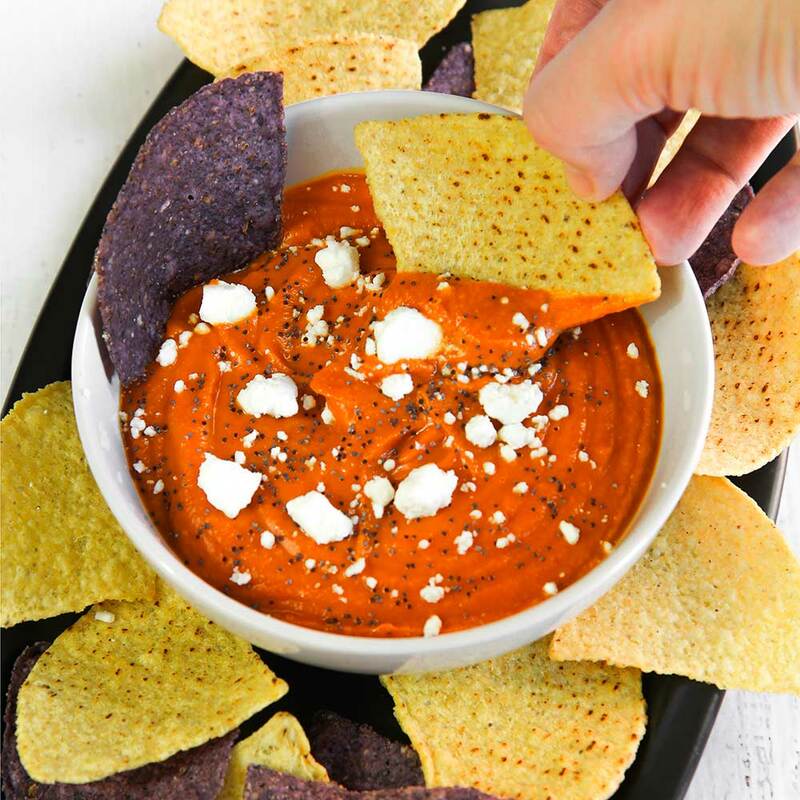 A pinch of cayenne pepper will give at your dip an edge over, making it unique and warming your heart even more! 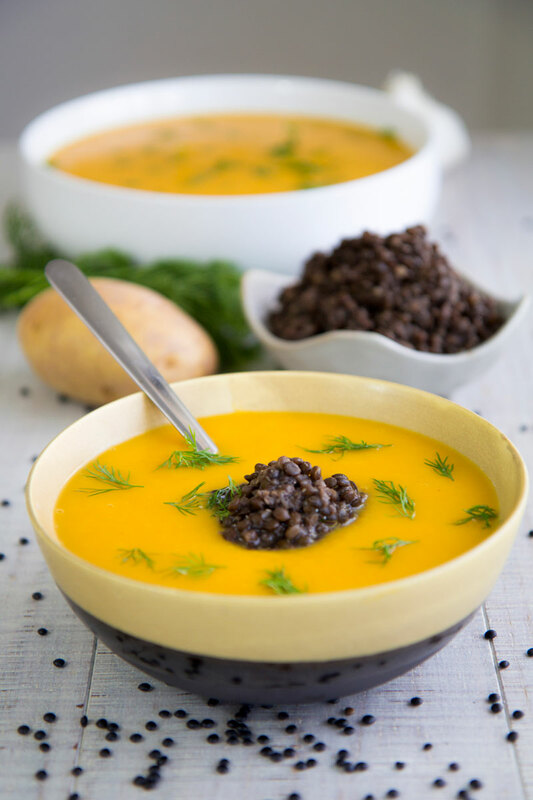 It’s Halloween, let’s cook a great recipe with a creamy butternut squash sauce! I really care about this simple and savory pasta; Into this I combined my Italian soul with a bit of American taste. 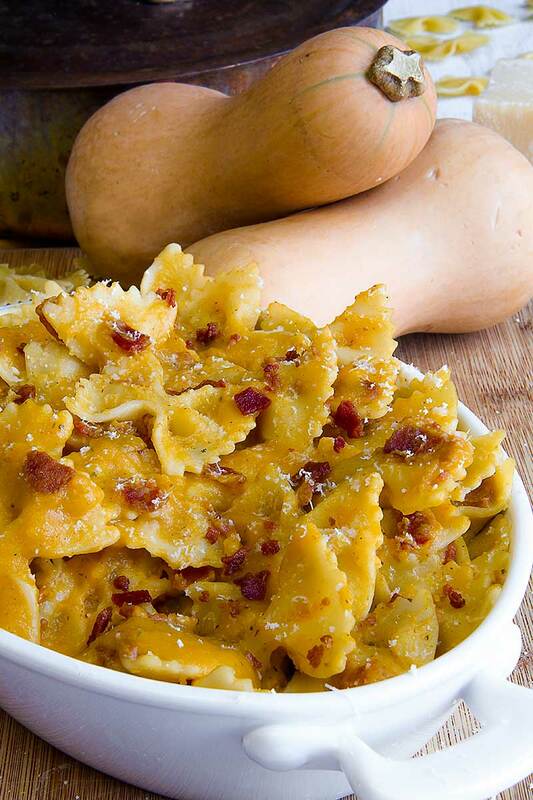 To serve the Butternut squash sauce, I choose Farfalle, a kind of pasta as popular in Italy almost as spaghetti. Crispy bacon flakes add flavor. Do not forget a generous sprinkling of Parmesan cheese to complete the dish! A few days ago, two nice sisters were guests at the Columbus Italian supper club. The dinner was a success, and my two new friends gave me a basket of summer squash, grown in their garden. The next day, I create a recipe that would emphasize the genuine taste of these wonderful vegetables. 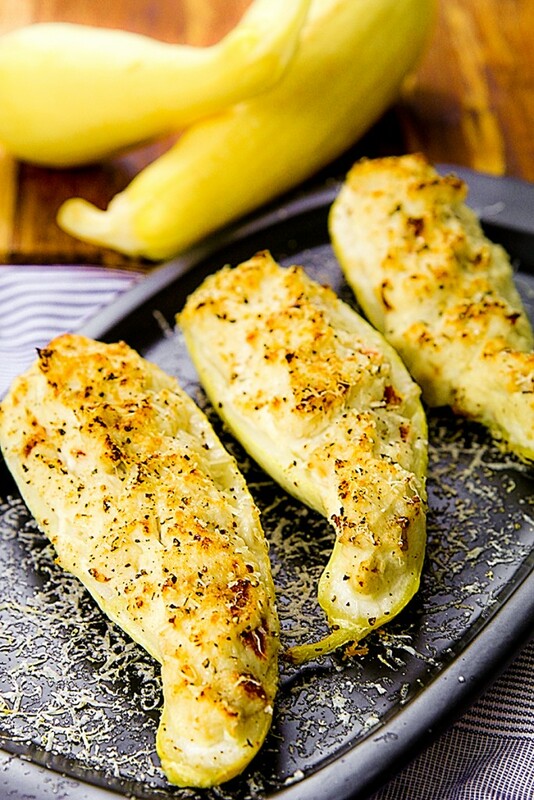 I decided to cook stuffed summer squash with a soft and delicate cauliflower dip. To add a crispy note and flavorful, I mixed the dip bacon flakes, Parmigiano Reggiano cheese and a sprinkle of black pepper. The result was surprising. 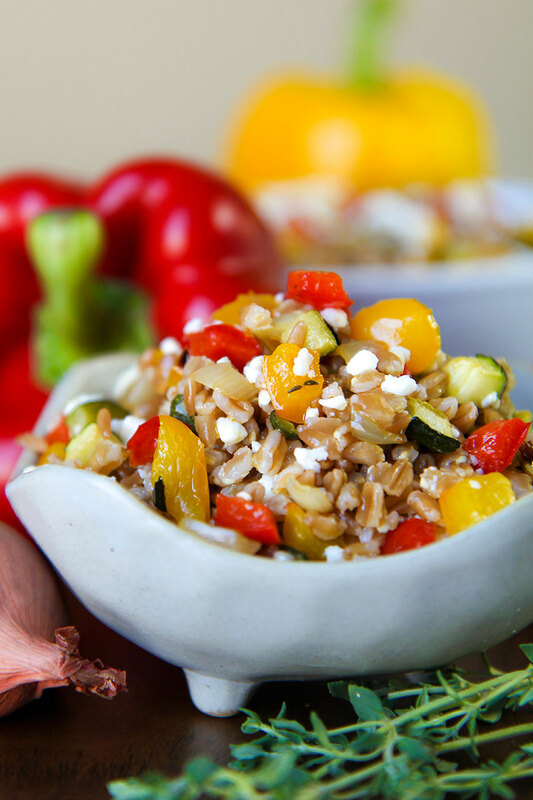 A summer dish, tasty and rich in vitamins!